Now that the London Olympics have ended and the Presidential election just around the corner the administration has moved quietly to try and cement our “special relationship” with Great Britain. The first order of business is to replace the bust of Winston Churchill, graciously lent to the White House by Great Britain after 9/11. As you may recall, the Churchill sculpture was returned to the British by President Obama when he came into office and ultimately found a home in the residence of the British Ambassador in Washington DC. Over the past three years the story had died down until White House Communications Director Dan Pfeiffer, in an effort to embarrass columnist Charles Krauthammer –who had used the incident as an example of Obama’s attitude towards the British–publicly attacked him by claiming that Charles was fabricating the story and the bust had actually been moved to another location in the white house. 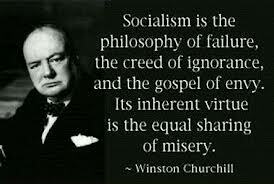 I won’t go into the sorry details because they are all available in Charles’ column, but Winston Churchill happens to be one of my heroes and I was truly upset by President Obama’s unprecedented snub. It appears that White House heroes these days, are not called Winston but rather; Mao, Che, Fidel and Hugo. And now I guess we can add Neville. 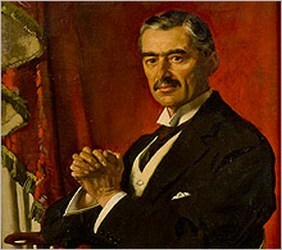 Pfeiffer who has been working in overdrive to try and repair the damage caused by his well publicized gaffe, was instrumental in reaching an agreement with the British Government to replace the Churchill bust in the Oval Office with a portrait of former British Prime Minister Neville Chamberlain entitled “Peace In Our Time”. Signed by the Ayatollah himself! No word yet from the British who found the Chamberlain portrait in the same warehouse where they are storing President Obama’s state gifts; (1) the DVD collection of the Greatest American Films (not readable on European DVD formats) and (2) the iPod given to the Queen containing his greatest speeches. This entry was posted on August 20, 2012 at 5:30 pm. You can follow any responses to this entry through the RSS 2.0 feed. Both comments and pings are currently closed. 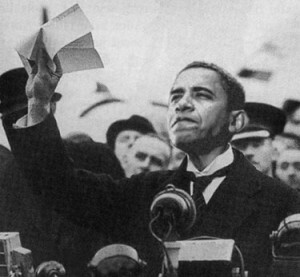 1 Response to "White House Replaces Bust of Winston Churchill with a Portrait of Neville Chamberlain……. 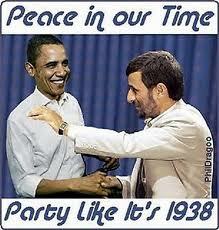 “Peace In Our Time”"